You are especially sensitive to energies right now, so it is important to shield yourself from harsh energies. Ask Archangel Michael for protection with his shield and sword of light. Shield yourself from negative thoughts and places. Have confidence and do not allow discouragement to take root in your heart and mind. You have the power, strength, and skills that are valuable to God’s plan of peace. Shine your light, and listen to your intuition. 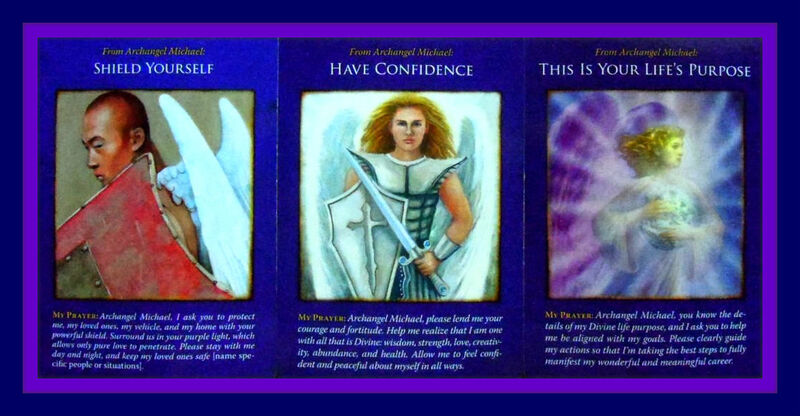 Ask Archangel Michael to raise your confidence. He is guiding you in the direction of your life purpose. Your thoughts, dreams, and excitement about a new career all indicate and validate that this is your life purpose. You are meant to do work that makes you and others happy. Look for clues in your present situation for the next step. It is a step by step process. Trust the process, and take the next step, and then the next.